Amidst the rhetorical pyrotechnics surrounding July’s debt-ceiling debates, another controversy streaked across the sky like a comet, flared for an instant, then receded into the maelstrom of ongoing partisan attacks. The shooting star in question involved an exchange between two of Congress’ most controversial members, Allen West (R-Fla.) and Debbie Wasserman Schultz (D-Fla.), whose regard for one another constitutes something of a congressional equivalent to how the Earps and Doc Holliday felt about the Clanton-McLaury gang at the OK Corral. Obviously, Congressman West is no one to trifle with. All of which was dismissed as another example of hyperventilated partisan bloviating, perhaps a bit too acrimonious in the case of Congressman West, but otherwise best to be taken in stride with the rest of what angry lawmakers have to say about each other. Further, it would seem that Congressman West comes out looking a bit worse for expressing his unbridled contempt for Debbie Wasserman Schultz while she only offered animadversions against his policy stance. By this interpretation, the P.R. battles continue apace, with a slight nod for the Democrat in this shootout at the Capitol Corral. Another interpretation puts this matter in a different light. Congressman West was not objecting to the substance of the Democrat’s comments, though of course he was opposed; he objected in principle to the fact that he was not there when she directed her comments at him. For Wasserman Schultz, pushing her agenda was more important that conducting a debate about contesting views with an opponent who was not present to answer her charges. In short, for Wasserman Schultz, agenda trumped principle; for Congressman West—regardless of the directness of his email message—principle superseded agenda, and that is why he became so angry. And as if to illustrate this difference, although unintentionally, the Democrat’s office later released a ludicrous statement about how Colonel West had perhaps “cracked” under the pressure of the budget debates and further failed to grapple with the consequences of Republican policies for Medicare recipients. To which a more informed observer might respond: Are you kidding me? Congressman West, a decorated leader who would carry gas cans and march through hell to help his men? In your dreams, Debbie! In short, Allen West bristled with indignation over the violation of principle, to which Congresswoman Wasserman Schultz responded with a mushy sound bite extracted from the Democratic agenda. In fact, this incident illustrates a great deal about nearly every political conflict between Republicans and Democrats. Certainly it’s the case that our political parties represent opposing principles of politics: Republicans more generally stand for principles of limited government, while Democrats espouse views that reflect the statist ideology of European social democracies. But as the West v. Wasserman Schultz controversy demonstrates, the differences between the parties really go beyond this rather facile distinction, especially in the era of the Obama administration. For instance, House Republicans have proposed structural changes to America’s healthcare system to prevent insolvency and collapse; Democrats retorted with accusations about throwing granny into the street. These differences were further demonstrated by President Obama’s July 26 speech in which he railed against oil companies, hedge-fund managers, and (gasp!) corporate jet owners again, who, in his view, received special privileges at the expense of Medicare recipients and college students seeking government loans—all expressed in a series of schmaltzy, partisan banalities. 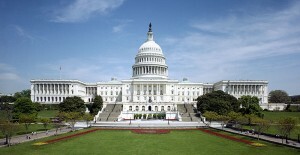 Speaker John Boehner’s response was based on constitutional principles absent from the president’s speech. This brings us back to Congressman West, who is a role model of clarity against the din of left-wing prevarications about saving mythical grannies from non-existent legislation. Democrats are accustomed to smearing Republicans when they’re out of the room; they’re not accustomed to Republicans defending themselves. 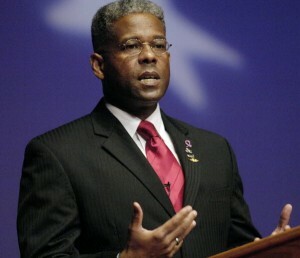 Allen West fights back. Indeed, he represents scores of conservative legislators who refuse to have their views constantly lied about (especially in their absence) and who are not afraid to speak their minds about their opponents’ tactics. Among such individuals, Congressman West stands tall and he’s here to stay. And that is the significance of Congressman Allen West.